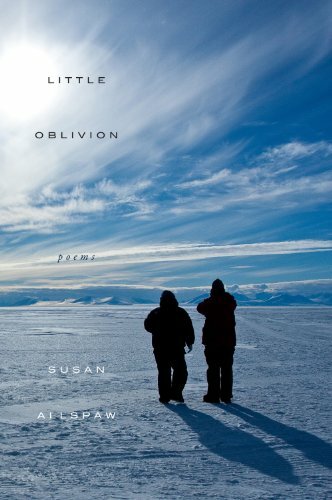 Susan J. Allspaw's debut collection brims with exquisitely textured poems that capture the essence of Antarctica's stark beauty. In the world of Little Oblivion, we find nesting places for petrels, skuas, adelies, and terns; an underwater home to baby krill, ctenophores, and salps; a terrain striated with sastrugi and punctuated by nunataks; a place saturated with such whiteness that "the sky bleeds into the earth / so that a whole body becomes a palindrome." These luminous poems sweep panoramically across mesmerizing landscapes while meditating on the human condition through deep and reverent encounters with the natural world. "White will follow me everywhere," says the speaker in one of the poems. After reading Little Oblivion, white will follow us, too. wants the way around melting. The ice never learned to let go.